Random Anny .Com: Keep on Promoting, eBay! Don't you love Weird Al? 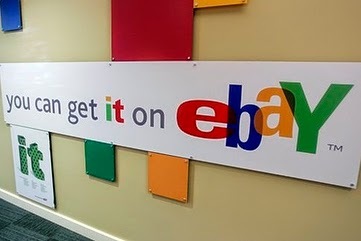 Did you see the latest eBay promotion? 2500 free Fixed Price listings with with 7, 10 and 30 day auctions included. This is great because my last batch of thirty day auctions just ended and I had over 200 items sitting around waiting to be relisted. The second best part is it disallows re-lists and forces us to create "new" auctions. Of course everyone knows all you have to do is click "Sell Similar" and re-list. Cassini LOVES new auctions and will feature them higher in search results - versus my year old listings which have been steadily falling because it assumes if no one has bought it in so long it must not be worth showing new customers. Fair enough. Thanks eBay, I look forward to paying you a much higher commission this month!